Nothing says “ready for fun” like an inflatable water slide, and they’re a great addition to any party environment. Add water once inflated, and get ready to slide! The comfortable cushion of these inflatables makes them a safe, enjoyable playspace for kids of all ages. Or, skip the water to keep clothes dry, or for fun in colder temperatures. Chicago Party Rentals has all you need, for any type of event. 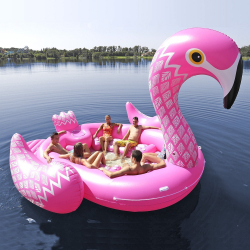 We offer a remarkable array of inflatable units, in varying sizes and themes. Birthday parties are off the hook with themed slides! Adults even get in on the fun – this isn’t just kids’ stuff. Corporate events, community gatherings and family reunions are great occasions to plan with a wet or dry inflatable slide in mind. Call us up, and we’ll deliver directly to you. Birthday dreams come true for youngsters when you place an order today for themed inflatable units from Chicago Party Rentals. How about a pirate party? Princess castle? We have a large selection of units with popular characters from cartoon features, films and trending activities. Call us today to speak with a qualified, trained staff member about how we can make your next party great. Chicago families depend on Chicago Party Rentals to bring the fun, in a safe way they can trust. All units are fully cleaned and sanitized immediately after use, ensuring they’re ready for another great event right away! We utilize “No Jump” netting to direct toddlers away from unsafe use, and we take the time to explain proper handling. Our units are crafted with lead-free vinyl, and we always have safety in mind. Reach out to us today – Chicago Party Rentals is here to help! Birthday blowouts aside, these inflatable water slides are a lot of fun and – many might say – a must-have for community events and school fundraisers. Imagine setting up one of these units for your next function! These slides attract eyes, and a whole lot of fun. Families are drawn to these inflatables – it’s not every day that moms, dads and kids can get together with party rental items like these. Each one is different, to reflect themes and popular characters, so you can be sure that we’ll have plenty of options available that will be appropriate for your special event. Consider the value of entertainment for all attendees, in relation to our low rental costs. If you’re planning a formal event, remember that often organizers will charge admission to help recoup some of the planning costs. Chicago products make a great addition for any community-minded fundraiser or charity event. Chicago has a great history of community ties, and we’re happy to have been there hundreds of times already for neighborhood groups and family gatherings. Chicago Party Rentals has a number of summer theme water slides! As we said earlier, they can be used dry – but when the summer sun’s out, it’s time to break the water out! 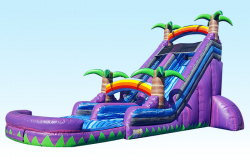 Surf slides, big wave units, tsunami slides, vibrant palm tree and tropical themes, and even alligator water slides can be yours with just one quick phone call to Chicago Party Rentals. Safety is our top priority, and water slides are fully cleaned and sanitized by our experienced, professional staff following each rental. All of our inflatables are made with safe lead-free material. We also utilize accessories like “no jump” netting to boost the safety of our units. Chicago knows how to have fun, and we worry about safety so that you won’t have to. These days, a lot of parents worry about their kids’ activity levels. Bounce houses and other inflatables are a sure hit, and provide an active outlet for running, jumping, climbing and laughing. These are a healthy outlet for kids of all ages, sure to get energy levels up and contribute to a healthy lifestyle! Get arms, legs and bodies moving fast when your next Chicago area event has a colorful inflatable water slide to attract attention. Not only do we provide the best slides in the Greater Chicago Area, but we also have several other popular rentals. Our bounce houses are loved by party-goers at any event you can think of. Do you want to add some competition to your next event? Check out our obstacle courses and party games. We also provide combos that are bounce houses with slides, and corn hole if you are looking for yard games. MAKE CHICAGO PARTY RENTALS YOUR PARTY PARTNER! Fun, fun, fun! We’ve helped a ton of folks in Chicago pull of great parties, and now we’re on board for yours, too. We have wet and dry inflatable slides with popular themes for everyone, and even featuring some of the world’s most beloved characters! Everything is brought to you in an efficient and timely manner, and our fully qualified staff makes sure that all units are cleaned and inspected regularly. With such an extensive number of products to choose from, we have any shape or size that your party might need. 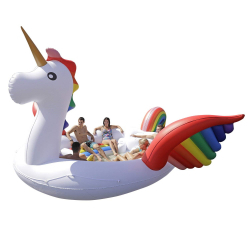 Most of the time, we can deliver these inflatables a day in advance at no extra charge (ask us when ordering!). Our team members are standing by to take your call (or reply to your email). Chicago is a party town, and event rentals from Chicago Party Rentals can only enhance the experience for you and your guests. Unforgettable parties and events include wet or dry inflatable slide units. College parties, family reunions, community events and birthday parties really reach the “next level” when Chicago Party Rentals gets involved. Slip ‘n Slide with the gang in a unit planned to fit just right in the event space. Our staff can help you decide the best rental unit for the space you’re considering. Cartoon and toy themes are available, and we’ve got something for just about everyone. Ready to go? Call Chicago Party Rentals today for all your event rental needs. Our clean, sanitized and regularly inspected inflatable slides are a hit for young and old alike, and are built with soft but tough lead-free vinyl. We utilize steps to ensure safe play, like “no jump” netting. It’s an honor that you’ve chosen us to be part of your family or organization’s special event in Chicago, and we don’t take that lightly. We’re ready to step up to the plate with quality, service and value. We’re the best in the business and it’s our pleasure to serve the community. We’ve been blessed to learn more about our community’s organizations, event spaces and families. Let us bring our experience to the table for your next great event, and show you what we can do! Check out our links for detail on delivery areas and special options for each order. Not quite in our service area? Give us a call, and let’s talk – we’re committed to customer satisfaction and eager to work with anyone.